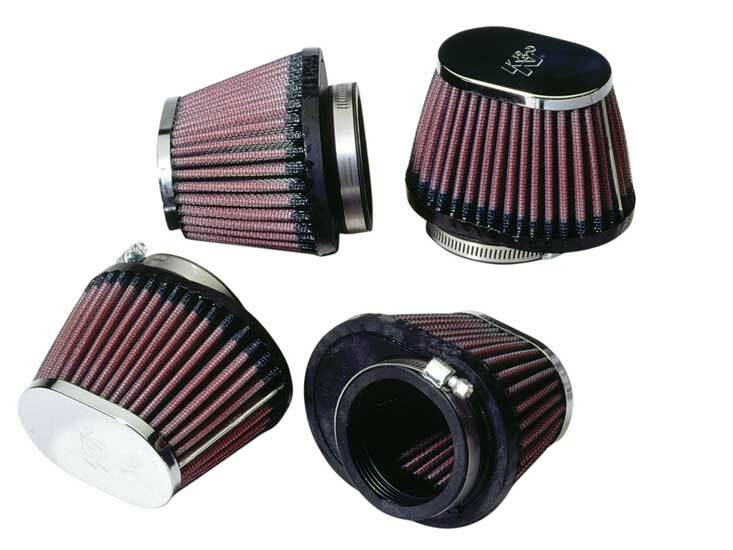 Kit includes: Carburetors, Fuel Line & Clamps, plus one size larger and one size smaller Main Jet sets. 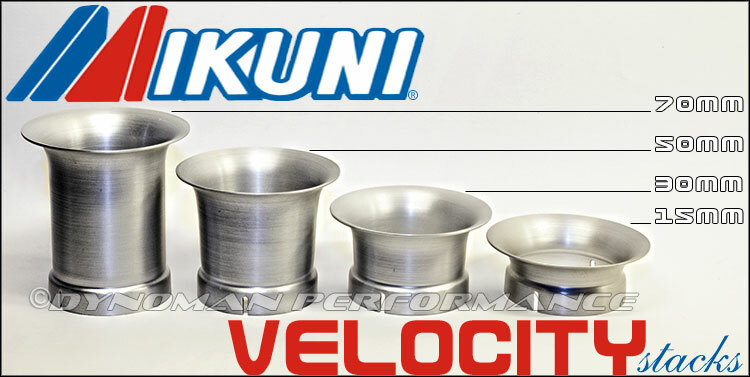 Designed for in-line four cylinder performance motorcycle applications, the Mikuni RS Series Radial Flat Slide Carburetors offer superior horsepower gains with their maximum flowing smoothbore induction tract and radial flat slide design. Please add to cart to view our special prices! Kit includes: Rack of (4) Carburetors, Fuel Line & Clamps, plus one size larger and one size smaller Main Jet sets. Please see carburetor listings above to purchase. required if your bike does not have one! will never be used on the highway. The Mikuni RS Series Carburetors were designed and built in response to the needs of the world's top motorcycle road race and drag race teams. They required carburetors which would satisfy the precise fuel metering demands and high flow volume required by highly modified race engines. And yet, also provide the smooth, controllable throttle response that is needed by any rider pushing his motorcycle to its limits on the race track and under high performance use. The carburetors need to meter fuel correctly under a wide range of atmospheric conditions and engine tuning modifications while being easily accessible for trackside tuning changes which need to be made quickly. Designed for in-line four cylinder performance motorcycle applications, the Mikuni RS Series Radial Flat Slide Carburetors offer superior horsepower gains with their maximum flowing smoothbore induction tract and radial flat slide design. An adjustable accelerator pump system helps to provide instant throttle response, particularly in the lower RPM range. The RS series Carburetors feature a compact design which is 25% lighter than other performance carburetors, offers quick needle jet adjustment, and uses readily available standard Mikuni jets. 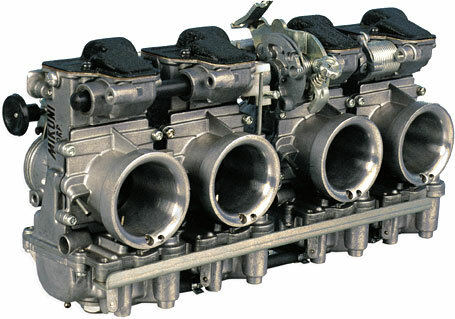 Carburetors are available in 34, 36, 38, and 40mm bore sizes with different carb spacing for some Suzuki, Kawasaki, and Yamaha motorcycles. and which will never be used on the highway.